Camas, WA – Furuno has introduced the BBWX4 fourth-generation SiriusXM Marine Weather Receiver for NavNet TZtouch and NavNet TZtouch2. Furuno and SiriusXM have teamed up to bring you live, up-to-date weather information and forecasting, offering peace of mind to boaters, and a crucial edge for fishermen, all over the US and southern Canada. By adding the BBWX4 to your NavNet TZtouch or TZtouch2 network, you can view real-time weather content that overlays on your NavNet plotter’s raster or vector charts. 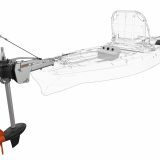 Essential, localized weather information and forecasting is critical to safe boating, and the BBWX4 makes keeping track of the weather effortless. 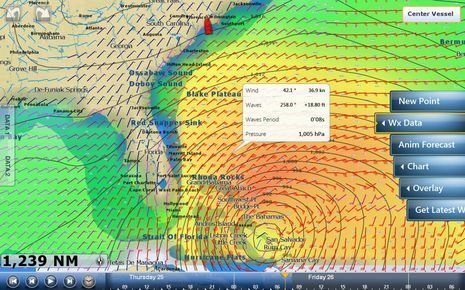 Current weather reports, 5-day forecasts, NOWRad nationwide high resolution weather radar imagery, storm tracking and lightning strikes, buoy reports, wave height forecasts and more are all available via your SiriusXM Marine Weather subscription. 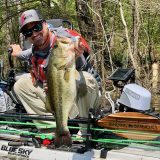 For the fishermen, high-resolution sea surface temperature mapping can help you to quickly locate fishing hot spots where you’ll find the bait stacking up, helping to put you right on top of your catch of the day. By adding SiriusXM Radio to your Marine service subscription, you can bring your favorite SiriusXM Satellite Radio channels with you onboard. 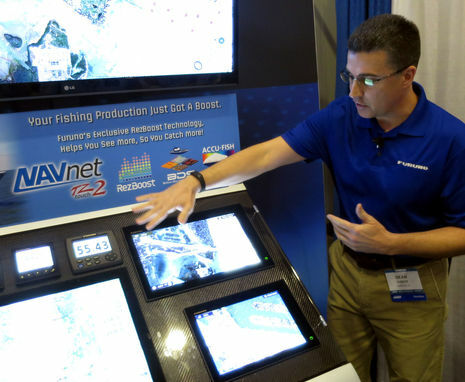 Hundreds of your favorite channels featuring commercial-free music, live sports and sports talk, exclusive entertainment, and world-class news can be accessed and controlled on any NavNet TZtouch2 MFD that’s connected to the BBWX4. SiriusXM Radio service is not available for first generation NavNet TZtouch. 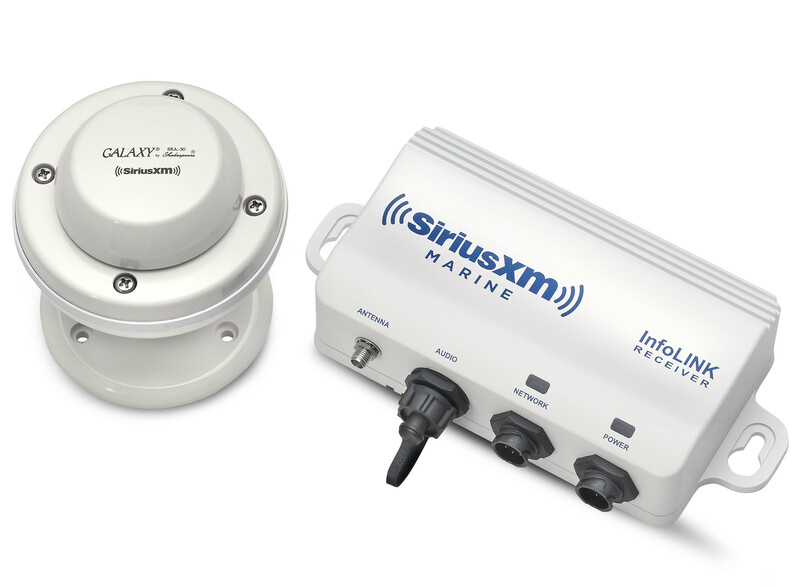 SiriusXM offers a variety of marine weather subscription packages to choose from. Inland, Coastal, or Offshore packages offer varying levels of detailed information to fit the needs of every boater. Plus, new subscribers who purchase a BBWX4 and activate their subscription by December 31st, 2019, are eligible for a $100 SiriusXM Rewards Visa® Prepaid Card. 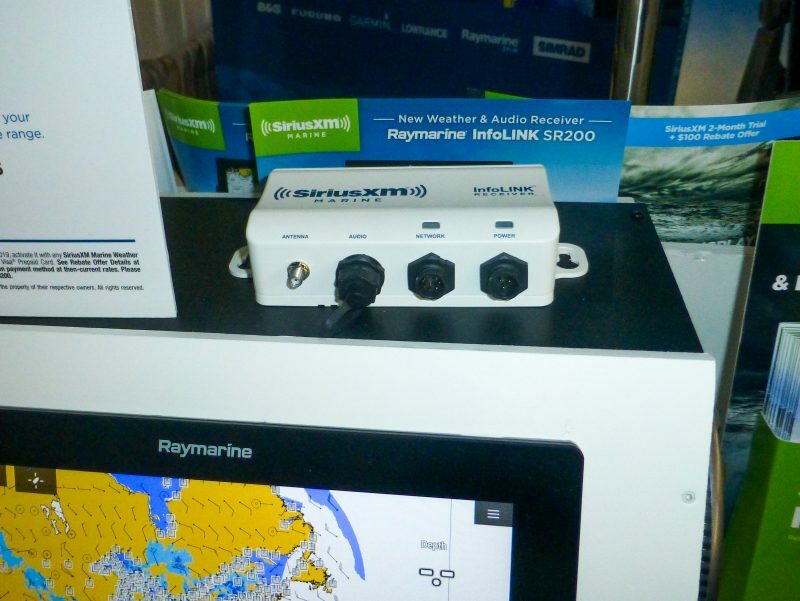 When coupled with the low price of the BBWX4 ($499), this reduces the cost of adding SiriusXM Marine weather to $399, about half of the cost of the previous generation BBWX3 receiver! 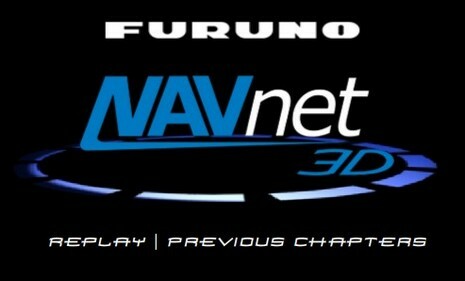 For more information about the BBWX4, NavNet TZtouch or NavNet TZtouch2, or their complete line of Marine Electronics, contact: Furuno U.S.A., 4400 N.W. Pacific Rim Blvd., Camas, WA 98607. Phone: (360) 834-9300. 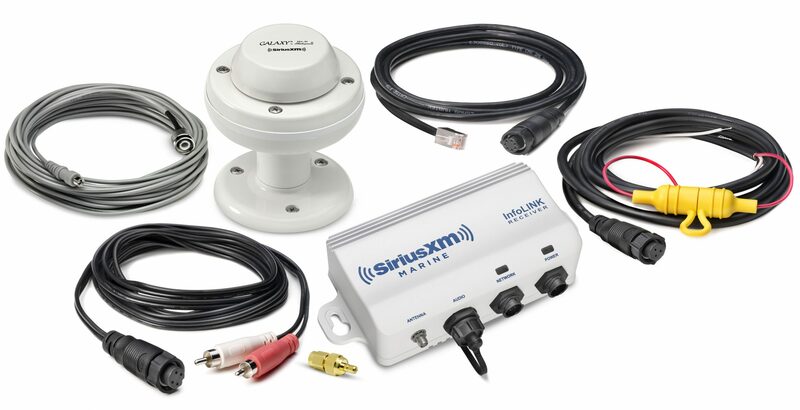 The SiriusXM Marine Weather Receiver looks like a perfect addition to an electronic bridge except it does not seem to integrate into a PC based system. 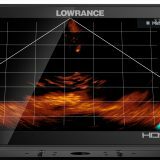 I am operating with Nobeltec TZ and an extensive Maretron N2K view arrangement with a straight forward PC computer and two 27″ conventional displays. I would very much like to find a way to get the Sirius weather data into my PC and the associated displays, however from reading around it seems the new system will only feed data to a few of the main line MFD suppliers. Does anyone know if there is a way to display the output from the new SiriusXM Marine Weather Receiver into a conventional PC?